SKU: M19-R-130. 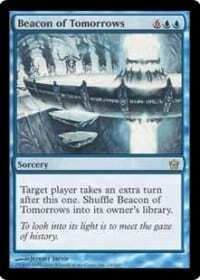 Category: Core Set 2019. Tag: Rare. 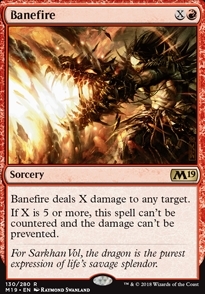 Banefire deals X damage to any target. 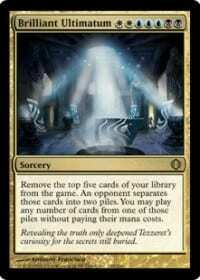 If X is 5 or more, this spell can’t be countered and the damage can’t be prevented. 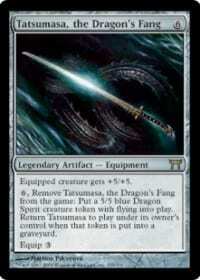 Flavor Text: For Sarkhan Vol, the dragon is the purest expression of life’s savage splendor.